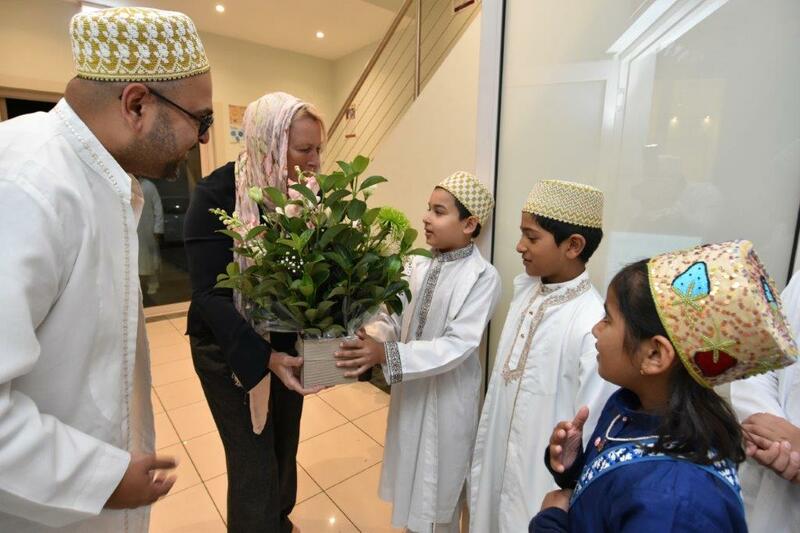 The recently elected Member of Parliament for Auburn, Honourable Lynda Voltz visited the Dawoodi Bohra masjid and community centre in Sydney. She was congratulated by community members on her victory and participated in a programme organised to celebrate the occasion. A brief orientation on the history and origins of the Bohra community was first presented, after which the Honourable MP addressed those in attendance. 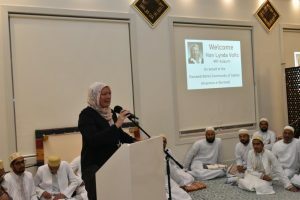 She condemned the recent terror attacks in Christchurch and expressed solidarity with the Bohra community as well as the broader Muslim community in Australia. She also exalted the community for staying true to its roots and making sure that younger generations did not lose their cultural identity. This she said came as a result of committed adherence to community vernacular and traditions. Ms Lynda then partook in a traditional Bohra styled dinner and interacted with community members while seated at the thāl all the while expressing her admiration for the unique manner in which the community enjoyed its meals.